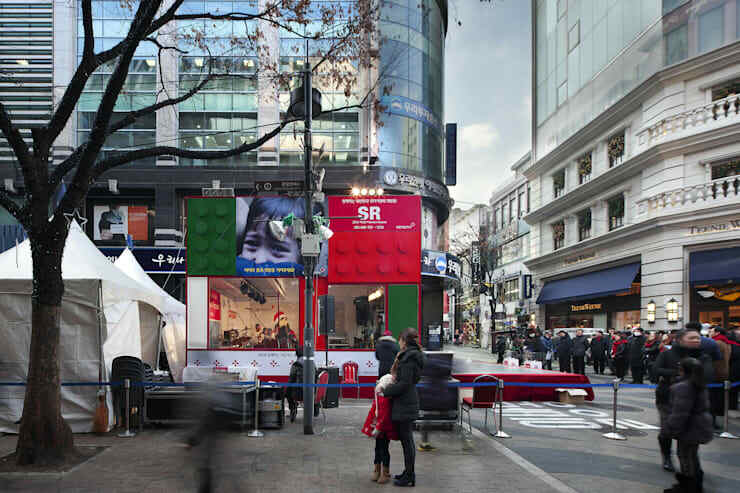 Around Christmas in 2013, we donated a design to 'Serious Request', which is a program held by the Korea National Red Cross. This program is a new-fashioned charity event which is immensely unique and interactive. 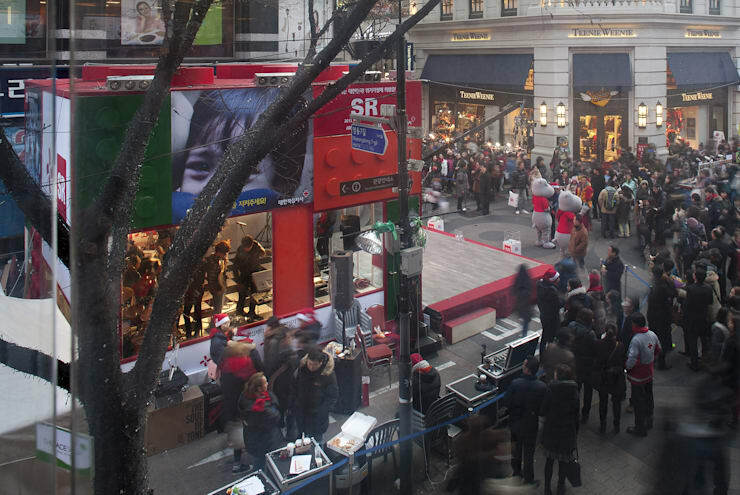 Originally, 'Serious Request(SR)' is a 10-year-old event hosted by Hollad Red Cross and 3FM radio station. 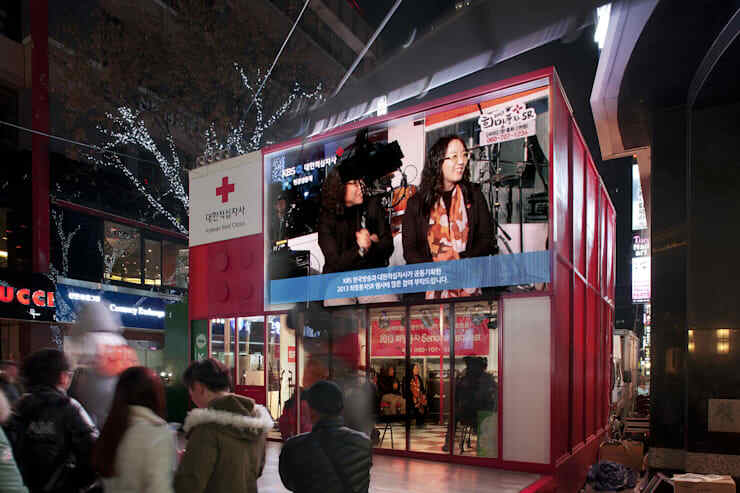 To help second-class citizen like children, elderly, multi-cultural family, and immigrants, 3 DJs run a fund-raising activity for 6 days in a transparant glass box called 'Glass House', without eating food except beverages. The reason why they proceed without eating or sleeping, is to share pain of the people in need, as well as to appeal to pedestrians and subconscious contributors for participation. SR spreaded to various countries like Belgium, Switzerland, Sweden, and Kenya. 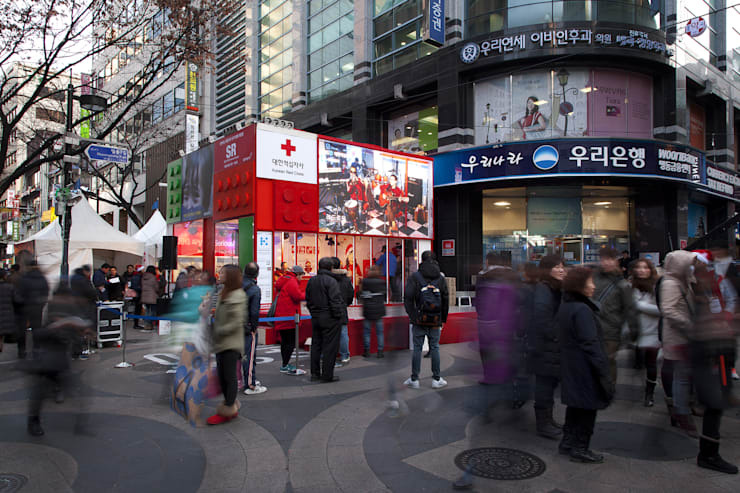 In Asia, Korea National Red Cross held the event at the very first in 2012. 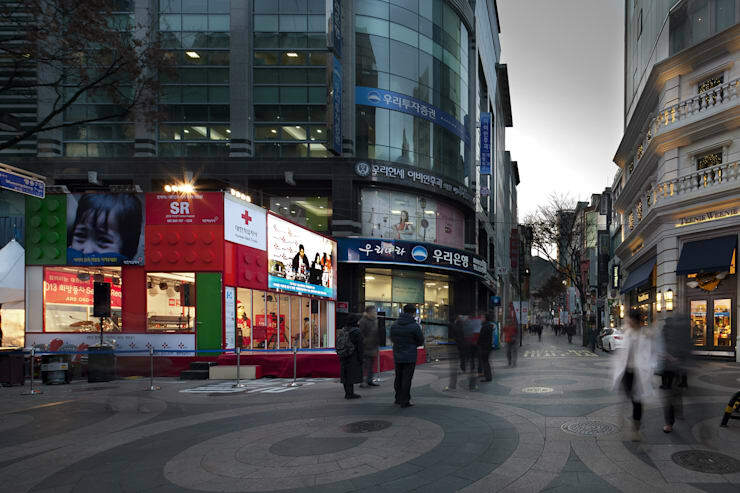 'Glass House' in 2013 was installed in the Myeong-dong, one of the central districts of Seoul, Korea, especially in the most complicated intersection between Myeong-dong theater and Woori Bank. 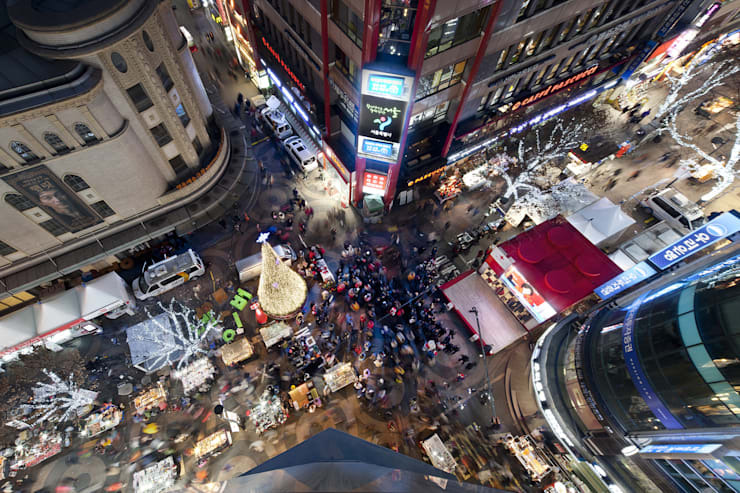 The length of the program was for 72 hours, from December 21st to Christmas eve. 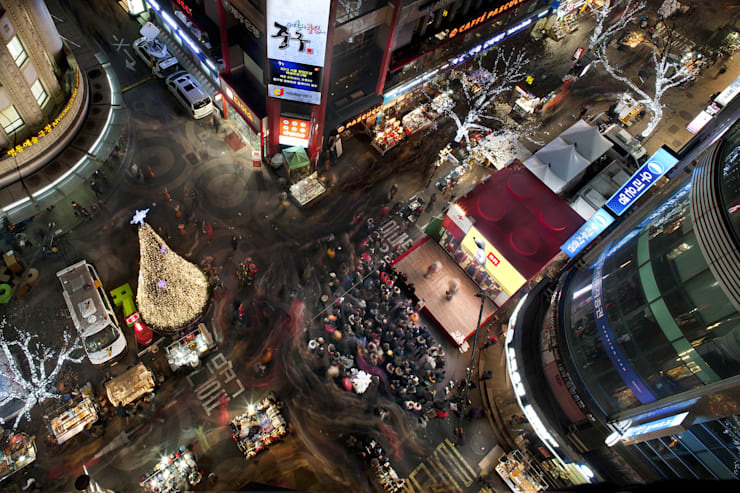 Since there are many people in Myeong-dong at Christmas and New Year, the time for installation and removal should have been as short as possible. 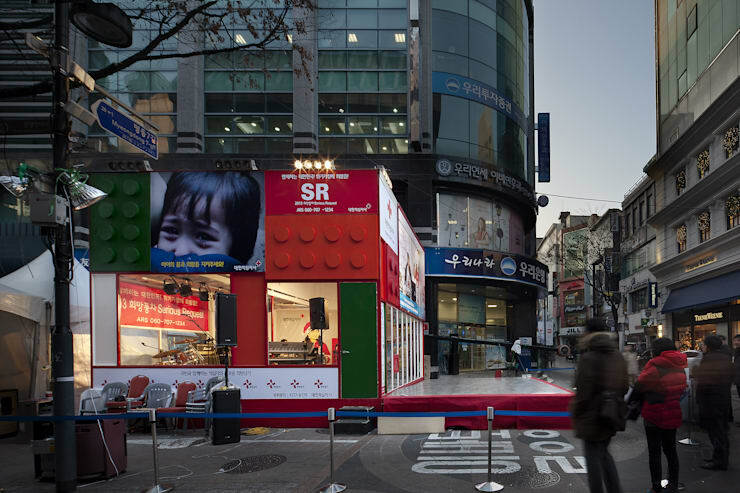 Besides, it was almost 'Mission Impossible' to put DJ seats, stand, and a studio for mini concerts in a 6-meter-cube. Fortunately, we could finish as scheduled for 3 DJs and guests-politicians, bands, volunteers, and pedestrians- to have a talk, turn on songs, and to sing along with bands.